CAMDEN’S Conservative leader Claire-Louise Leyland’s general election adventure in West Tyrone has begun. As you will have read in the New Journal, she is taking on a shot to nothing in a strong Sinn Fein constituency having been approved by her party list-makers to stand in a parliamentary contest at the end of last year. She has suggested that while her chances may be bleak, she is at least helping to spread a democratic choice to voters by providing a Tory choice on a ballot paper which hasn’t normally had one. The local press seem a bit suspicious, however. 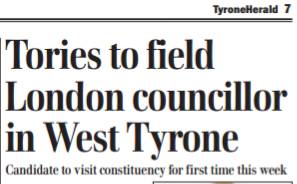 An interview she gave to the Tyrone Herald begins with the introductory line: ‘A London based councillor with the Conservative Party is to seek the West Tyrone seat in Westminster despite never setting foot in the constituency’. 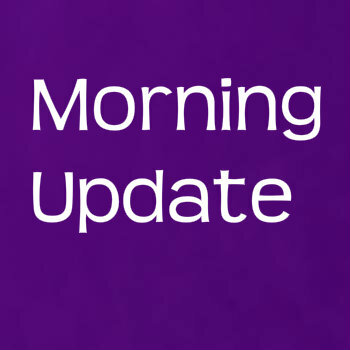 The article goes on to use the word ‘parachute’ and reports that Claire-Louise has been relying on online local newspaper stories for research. It’s going to be a tough crowd. THE Evening Standard called Hampstead and Kilburn an ‘ultra marginal’ seat last night, which if you buy into the line that there are still only 42 votes between winning and losing – as if nothing has changed in the last five years – is a fair assessment. We will hear that figure again and again in the next four weeks. Conservatives must have digested the description with satisfaction; remember they say the race there is too close to call and that their man Simon Marcus is now staring at a 50/50 shot. But the Tories will have flinched at the newspaper’s latest double page feature for the beaming face dominating the layout. 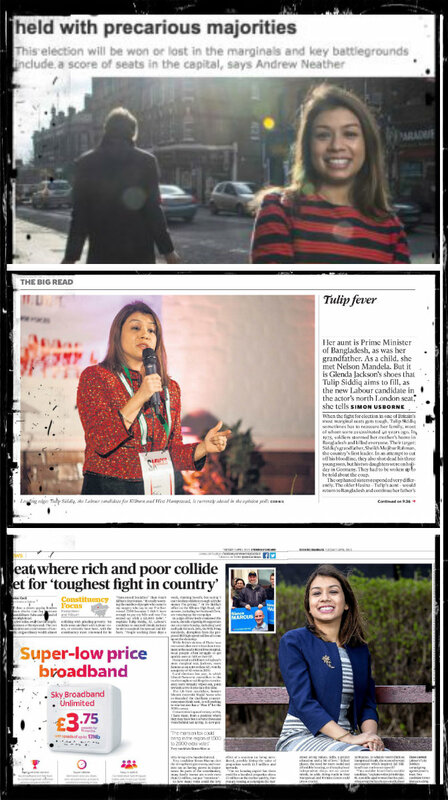 Sure as you’re born, it’s Tulip, again, just a couple of weeks after the Standard last had a big picture of her holding up a spread, and just a couple of days after two gigantic pics and a front page puff pic appeared in and on the front of Independent. The Sunday Times are rumoured to be next lining up a snapper. Simon’s face in these features usually pokes out of a little box, or gets left out completely. AND here’s another picture of Tulip… in the New Journal offices yesterday for online hustings organised by Twitter UK. The social network people brought goody-bag merch in for the candidates, and reporters, including notepads, mugs, an umbrella and a selfie stick. While I will always prize my GE2015 Twitter selfie stick, Tulip passed on the gift. She claimed that she would never use it. Sure, sure you wouldn’t, sure, Tulip, sure. 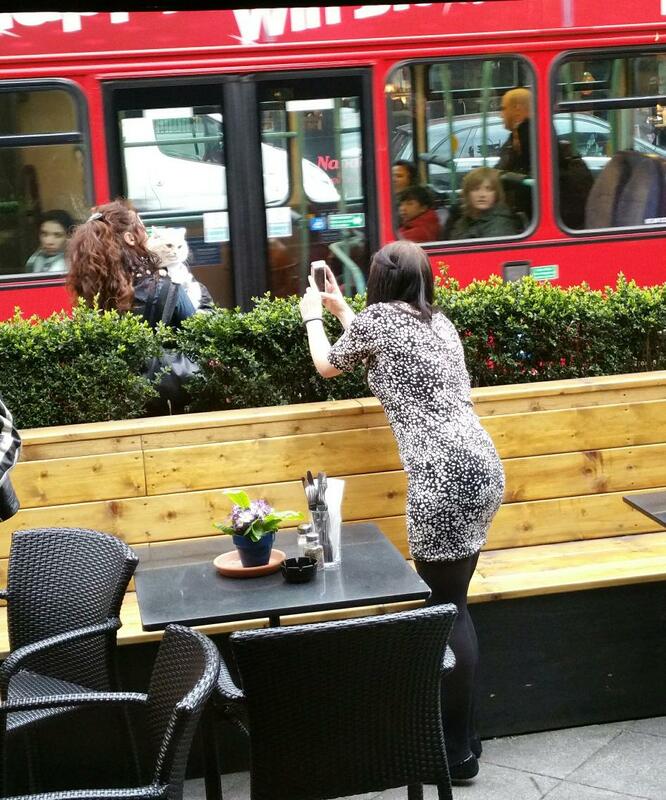 Labour councillor Lorna Russell spots a well-dressed cat in West End Lane, West Hampstead, and rushes out of the pub to get a snap. See an exclusive reverse angle photo below the tweet. A count-up from Lib Dem Keith Moffitt, who definitely knows what many years on the council means. Surprised at @TricycleTheatre hustings to hear Lab candidate saying she was a Camden councillor for “many years”. Since when was four many? Awaiting permission to interview a Ukip candidate. I'm told it's because of "those people that blamed the floods on gay marriage".